Walking simulator games can take us to beautiful locales like in Firewatch and Dear Esther or challenge our puzzle-solving skills such as in The Witness or The Assembly. Perhaps the best use of walking simulators, however, is taking advantage of their ability to focus on challenging and mature subject matter as seen in Virginia, Gone Home, and Nevermind since the games aren’t cluttered with complicated systems and gameplay mechanics. The subject matter and the storytelling method can take center stage as the driving force of the experience. The latest walking simulator to hit the PS4, Deliriant, utilizes this storytelling style to deliver a short but sweet experiment in empathy. For all of the details, continue reading our Deliriant PS4 review. Deliriant was created by 12 students from the Entertainment Arts and Engineering graduate program at the University of Utah. I think it is easy to say “Oh, it’s a student project. Go easy on them!” when passing judgment on a game like this, but when you start charging money for your work you have to be open to criticism. With that said, Deliriant was wisely released at a bargain $1 price point, which actually does help deflect any criticisms quite a bit. 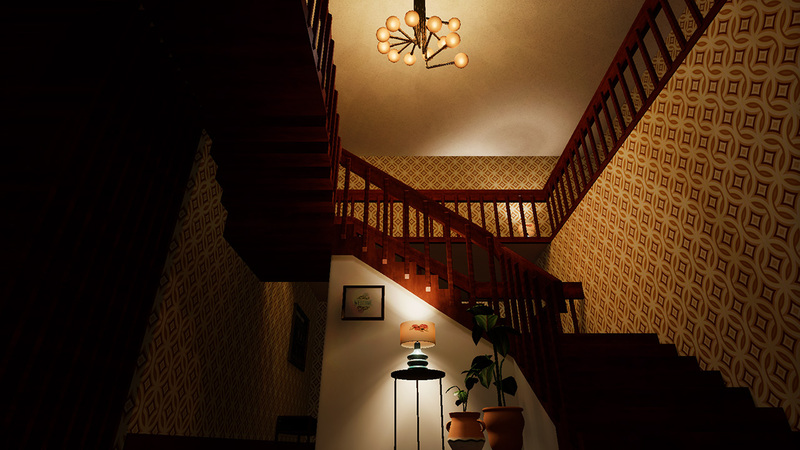 The game takes place in a 1970’s-era home that you explore in a first-person perspective. 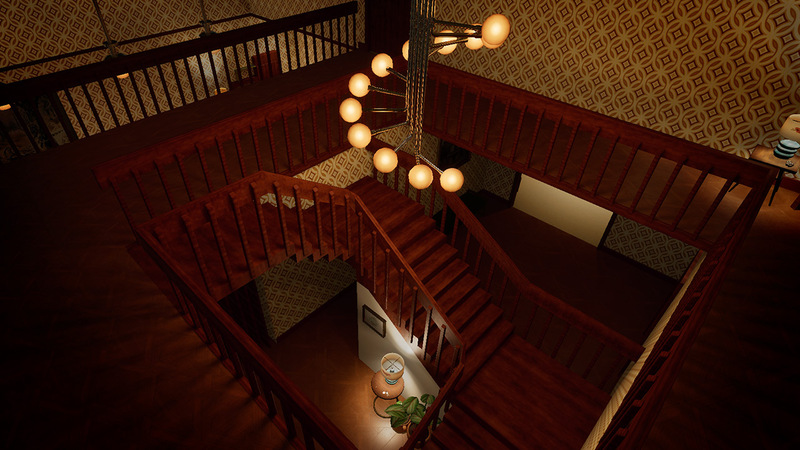 You can interact with just about anything in the home and, similar to other games like P.T. or Layers of Fear (yes, Deliriant does lean a bit into the horror genre), interacting with specific objects will trigger changes in the world that sort of guide you along and, hopefully, ensure you’re seeing what you’re supposed to be seeing. The storytelling is very, very subtly done, however, and if you aren’t paying very close attention to every detail it is entirely possible to play through the entire 25-minute experience and not really “get” it. It isn’t heavy handed like some walking simulators can be at all as everything is up to your own interpretation so every player will likely take something different away from the experience. I recommend playing through it at lest a couple of times to really make sure you see and understand everything. From a gameplay perspective, Deliriant is a little rough. You don’t really do anything besides walk around and look at stuff, so it is a little surprising it isn’t a little more polished even if it is a student game. Your movement speed is very slow and sometimes interacting with objects can be pretty finicky, as you have to be in just the right position to pick them up. Examining items is also weirdly slow as you try to rotate them to get a good look at them and sometimes the textures take a few seconds to load in. As I mentioned, it only takes about 25-minutes to “finish” the game, and I got all of the trophies on my first run. The short length is pretty much perfect, though, especially considering the $1 price. Visually, Deliriant looks pretty good. The house is small but realistically detailed and the lighting is solid. My one complaint with the visuals is with the moving wallpaper effect that kicks in as you explore. While definitely elevating the creep factor, it also gave me motion sickness to look at it. The sound is solid and I especially like the subtle and foreboding rumbling bass that builds and intensifies over the course of the experience. The game recommends playing with headphones on, and I definitely suggest doing that. All in all, Deliriant offers a unique new take on narrative driven experiences that fans of walking simulators should definitely check out. It is a little rough, but considering the $1 price it is still absolutely worth a look.